Cost containment, collaboration and inventory visibility are top of mind for many pharmacy and supply chain management leaders. While there are a multitude of proposed solutions available to healthcare leaders, one in particular that has generated great savings for Houston-based Texas Children's Hospital is automation, according to Supply Chain Dive. 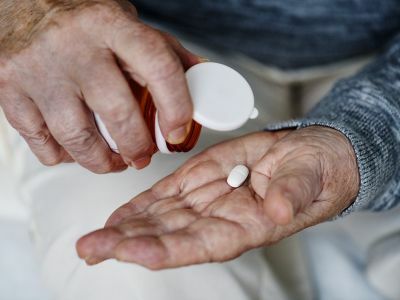 The 945-bed hospital buys more than $110 million in pharmaceutical products a year, but until recently, the organization didn't have great visibility into its stock, and it threw away at least $17 million in expired medications annually. Now, the organization is phasing in an automation program to improve efficiencies and reduce the number of human touches, so pharmacists can be deployed in other patient-centric roles. The first phase of the automation process added medication management software, and the final phase will introduce robots that can scan, store, pick and bag medications. The robots also may prepare intravenous drugs. Texas Children's plans to bring the robots online this fall. 1. Increasing inventory visibility. Prior to implementing the medication management software, Texas Children's didn't have an accurate account of the inventory it had on hand and where that inventory was located, Gee Mathen, Texas Children's assistant director of pharmacy applications and technical services, told Supply Chain Dive. Now, the hospital network has 40 percent to 45 percent real-time visibility of products. Once the robots are implemented, Mr. Mathen predicts 95 percent real-time visibility. 2. Reducing waste of expired medications. With automation, medications can be moved to locations with higher turnover, so Texas Children's is able to use more medicines before they expire. 3. Handling medicine more efficiently. Manual selection, scanning and bagging is less efficient than using an automated robot to select medications. The robot is expected to increase productivity and efficiency. 4. Saving money. Texas Children's uses a simulation lab to determine the amount of inventory it's purchasing and what it loses when medicine expires. Without automation, Mr. Mathen estimates that the hospital loses 16 percent of its product, according to the report. 5. Reducing errors and increasing IV solution shelf life. Currently at Texas Children's, pharmacy technicians prepare IV orders manually in a sterile space and are checked by a pharmacist. The human-prepared formulations can expire in as little as eight hours, because of the potential for human touch. But robotic-filled solutions can be stored for up to 30 days.The idea is that automation not only reduces potential human errors, it also can improve shelf life of IV solutions.